This. These are the silly quiet moments that I have LOVED about being off-call from doing birth photography. I am not just home physically, but my mind and brain can be focused on these two girls. I’m not busy editing or checking my phone to make sure I didn’t miss “the call”, I’m here, with them. Getting to see them eat bananas while one is wearing a winter beanie and the other is sporting a swimsuit. This is the life. 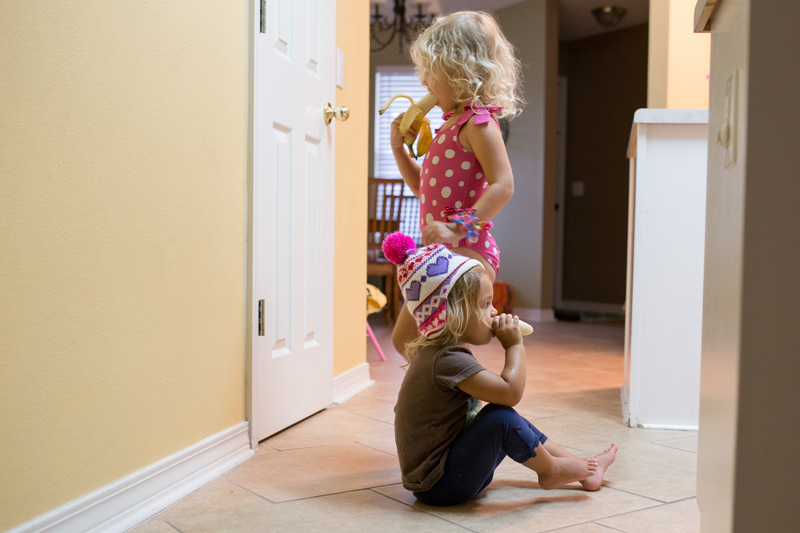 They both seem quite focused on something while eating their bananas… Elanor seems to have deep thoughts on her mind.